He ran 400m at sub 8:00 mile pace.. Lttle Stud!! 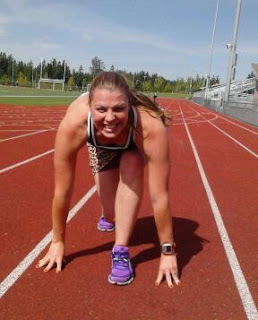 On Tuesday we went to the local track.. Jogged 1 mile, MM pushing the boys, to warm up. 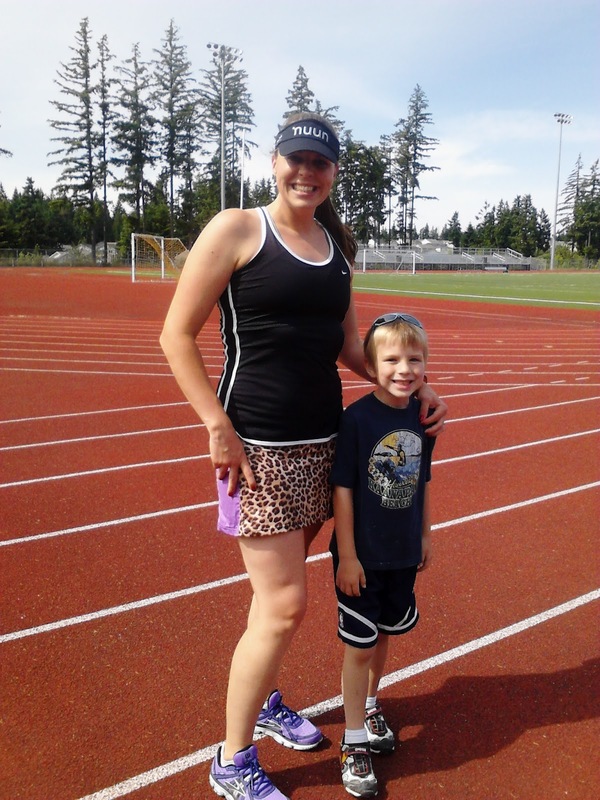 Ran the first 400 with Little Stud #1, who ran sub 8:00 pace for the lap.. IMPRESSIVE!! Then he peeled off to play in the Long jump sand pits with his brother. 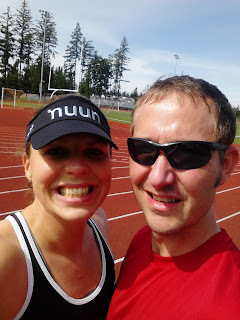 We did 4 x 400m sprints with 2 minutes rest in between. My lungs were BURNING! Great workout, need to do it more for sure.. Ran up the BIG hill on the way home and DONE with 5K for the day. Sometimes you just have to get out there and do something different to GET ON THE RIGHT TRACK!! On your mark...get set.. GO!! I look forward to the Rock N Roll Seattle Race every year. It has turned into a few days of fun with Bloggers, friends and FOOD!! 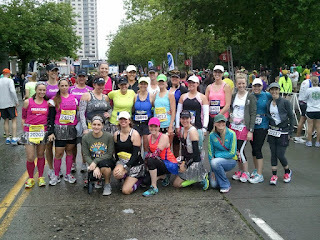 I was busy having FUN (Full weekend details to come) I didn't prepare mentally or physically as I should have.. We (Jill, Kerrie, Zoe and me) stayed at Chelsea’s house in the city, and our AMAZING friend dropped us off at the start just near bag check she is a GENIUS!! 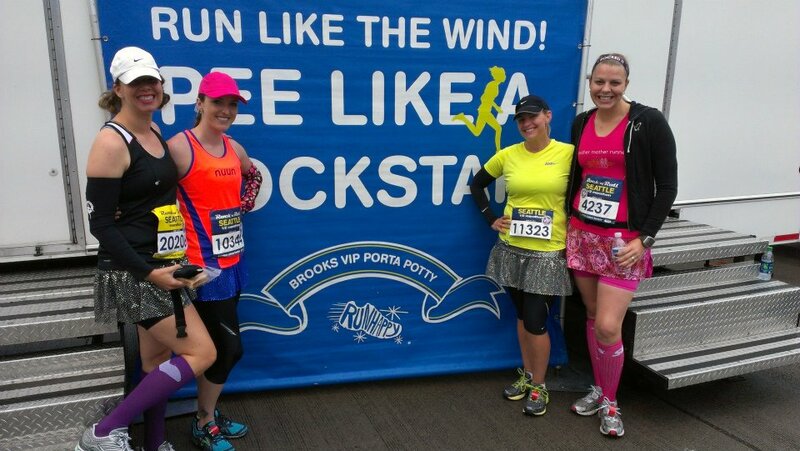 Checked our bags, then headed to find the VIP Brooks potties. The race start area was new so we did not know where anything was. We just kept walking, posed for a few photographers, then found the Brooks Pit stop with NO LINES!! I gave Mel a hug and enjoyed the VIP treatment. The plan was to meet for a Blogger pre-race photo at 6:30AM. I felt pretty out of it, thinking I should have eaten more than 1 piece of PB toast and I started to get nervous about my foot/ankle. I knew there were people I wanted to meet/see, but could not remember who.. Thankfully Laura HERE introduced herself, ADORABLE in pink and green. We got a few great photos then all parted. 1- 9:12- I wanted to go FAST, legs felt good. I normally start races way too fast, this time I tried to keep it in check and just run. 2- 8:00- Garmin going CRAZY in the city. I need to turn off Autopause, my watched stopped while I was running.. then showed we were going 3:24 pace.. hmmmm?? I was happy to see a low paced mile, earned us some time for the later HILLS. But then again who knows if that was accurate? 3- 9:08-Moving along chatting here and there, we got split for a few strides when we hit a water stop. I wanted to go fast, but I also REALLY wanted to run with Tiff. I think I may carry water next year, I am too tempted to walk the water stops. 4- 8:59- Back on track pace wise for a sub 2:00 Half and feeling good. I really enjoy running with Tiff, she is super positive and fun to talk to. 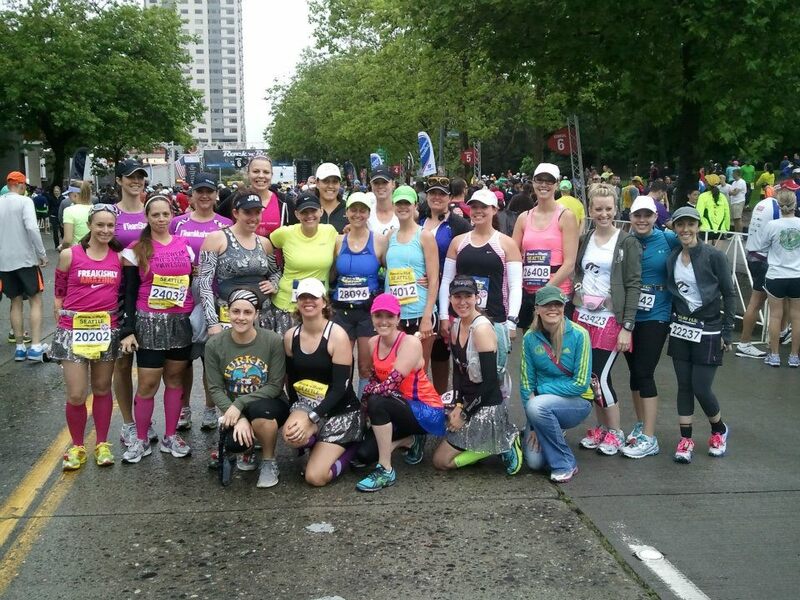 I was bummed I did not get to see many of my friends on the course at the start. 5- 8:58- Cruising Along, smiling at photogs, I felt AMAZING at this point. There were so many photographers on the course, before and after. I LOVE the pictures, but I cannot afford the prices all photos credit to Marathon Photo. 6- 10:06- GIANT HILL!!! I mean GIANT. And you could see it coming from a distance, I felt my legs slow just thinking about running it. They had about 4 timing mats on the ground before the hill, not sure what those were for?? We tried to jog but quickly realized that fast walking was the ONLY way we would make it up. Down was super steep too, my ankle and knee were yelling at me to SLOW DOWN.. I think I took a Gu during the mile, but I am not totally sure. 7- 9:19- Trying to get back to pace. We spotted Alma and just after her Chelsea. We tossed our SWEATY arm sleeves at her. Thanks Chelsea, Love you!! This is my favorite part of the course along Seward Park. I love the Remembrance Flags and all the people cheering. BUT I also know that the HILL to get up is coming. 8- 10:27- I am probably not remembering right but I think this mile had another HILL and possibly a tunnel. I was starting to fade and getting really negative.. Tiff said to me “Just Run,” which was what I needed to hear. I LOVE the little Cheerleaders along the course, they make me smile. 9- 9:02- About this time the Gu kicked in and I wanted to go for a Sub 2:00. I did the math and knew I needed to speed up to make it. Tiff and I had been together up to this point.. I should not have left her..if I had it to do again, I would not have sped up. There was a sign that said “High Five Station” so I had to swing past for a quick HIGH FIVE. 10- 8:48- Downhill felt good! My stride was strong. I passed the Chocolate Milk gal we met the day before and cheered her on. I weaved around people cruising… but it was short lived… I burned through the Gu and was back to total fatigue. Not from this point in the race but this is how I felt. 11- 10:34- My lack of fuel, tired legs and wonky/painful foot/ankle combined to force me to WALK. I walked a lot. 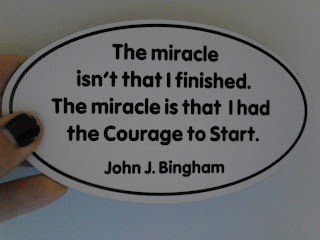 I thought about John Bingham and the story he told about slowing down because he didn’t want the race to be over. I tried to channel that JOY but I was yelling at myself inside. “Why are you walking?? You are stronger than this! 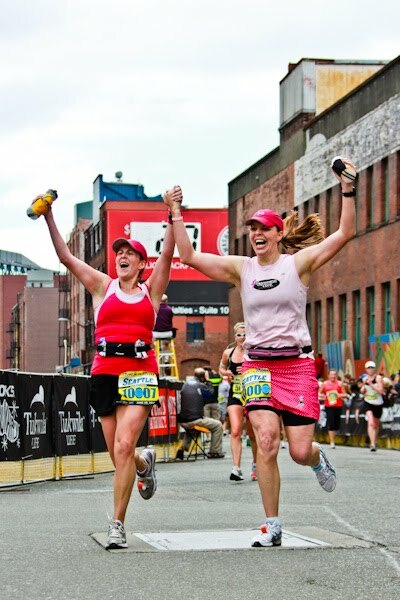 Move your feet.” Sybil zoomed past and I cheered her on, how I wanted to feel fit and fast like her in that moment. The best part about walking was being able to take in the beauty of the water and people watch, I told myself to be present in the moment… It was a good place to be, got to the top of the little hill and jogged again.. I thought about the Full Marathoners and the walls they would hit as the day went on. 12- 11:13- I had NOTHING left, not sure it it want mental or physical, I wanted to run to be done but I couldn't move.. so I walked when I had to and jogged when I could. I took in the scenery and hoped I could dig deep. Tiffany caught back up to me, and we ran together again but I couldn't hang on.. I wanted to so badly :( My little Friend Lindsey, who I have only seen in real life on Rock N Roll race courses x3 passed me and cheered me on (Small world she is friends with Marathonlar). 13- 9:11- Working my way toward the finish, I don't like tunnels so I sped through to the UPHILL Finish. REALLY UPHILL FINISH??? Pure Evil!! My foot/ankle was aching and I felt like I could not put my full weight on it, not sure what is up with it?? .29- 9:52- I could see the Finish and I was walking again.. did my best to smile at the Finish but the photos tell another story, this is the reality people, no posed smiles or waves…. I was BEAT!! Half Marathon #10- 2:06:24- Official Time. 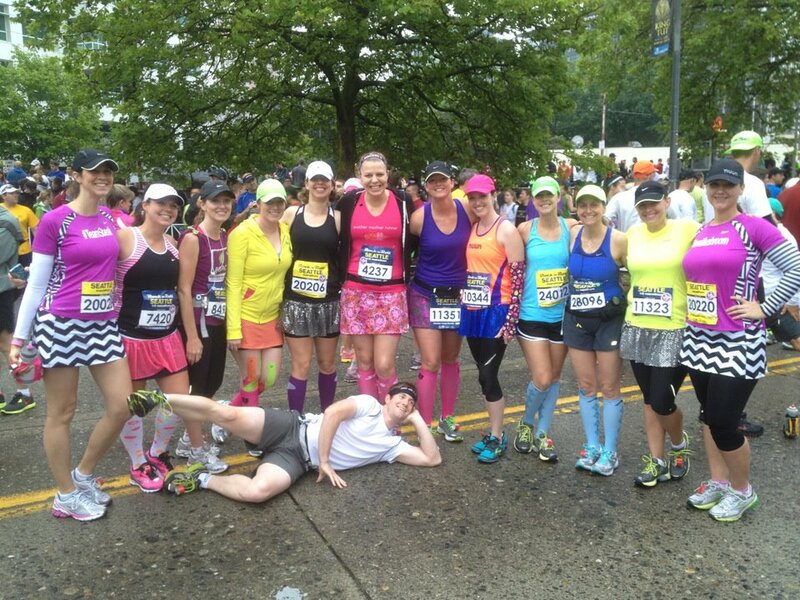 Another Seattle Rock N roll in the books, not my day, but I did enjoy the run, the HILLS not-so-much. This is a (sorta) solo PW for me..but I Finished and that is what counts!! 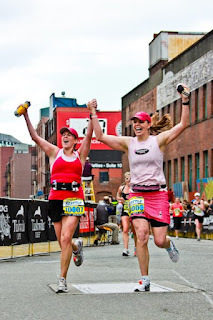 Already Registered for 2013 Half. More stories to come...it truly was an AMAZING weekend all around!! PS. If you like (LONG) Race Reports I have updated my Race Report tabs on my dropdown list (Thanks Ricole for the reminder) HALFS HERE and FULL MARATHONS HERE. 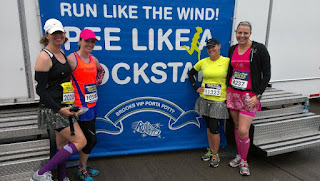 Did you run Rock N Roll Seattle or another Race recently?? Tell me about it in a comment or better-yet, link your race report. 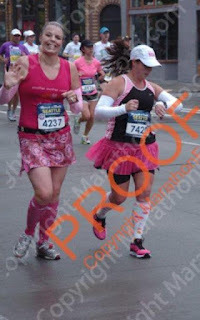 True T-Rex Form, arms stuck under pits and I kinda look like I am Roaring.. HEHE.. My BAD race photos make me laugh, I hope they make you chuckle too.. Thanks to Lauren (http://marathonlar.blogspot.com/) for the photo!! One of my (secret) Goals is to be an Inspirational Speaker. 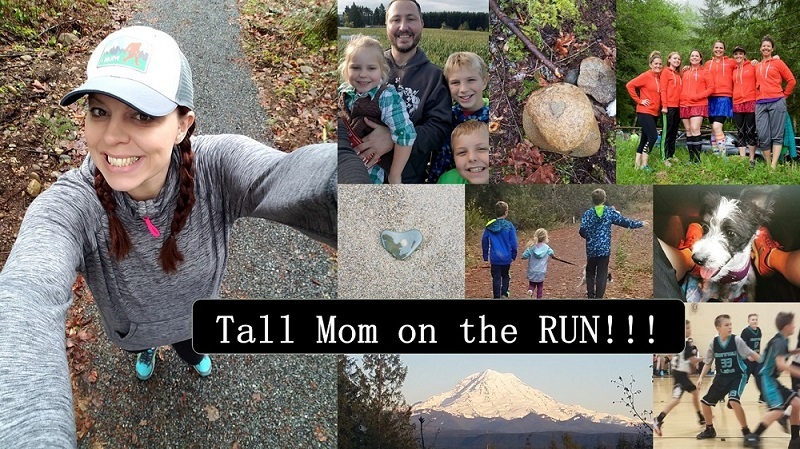 I would love to talk to High School girls, mom's just starting out in running, etc.. Thus far my path has not taken me toward this DREAM. But this weekend I felt like my DREAM had come true. I wanted a place at the expo for Bloggers to meet-up...I figured if we are all at the expo we may as well meet face to face in an organized way.. I emailed the race director, basically asking where would be a good place. she added out Meet-up to the Expo schedule and gave us John Bingham as a celebrity host!! 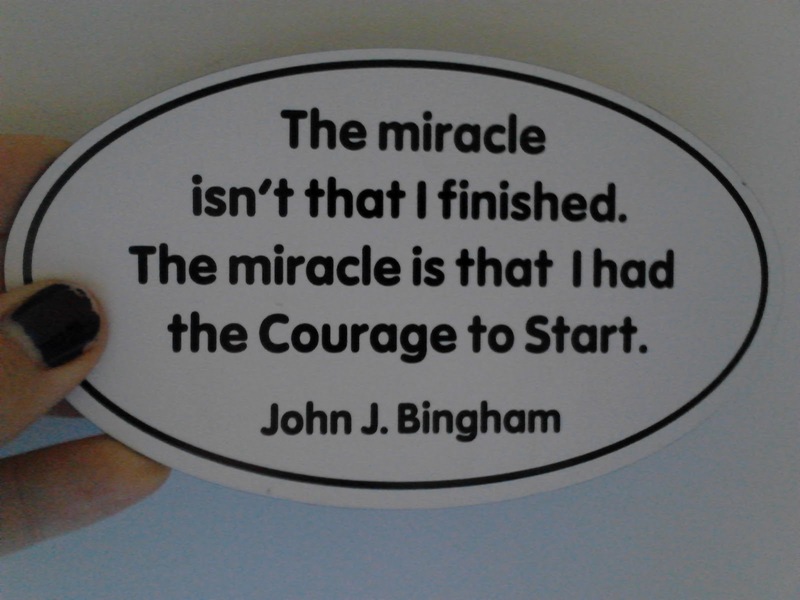 I have a quote from Bingham on my fridge, work wall and my car... I was nervous going in to the event, I basically made up the flow and how things would run. And I HOPED that people would come. I really had no clue what I was going to say until I came across 3 copies of Runner's World from 1997 and then it all came together. HUGE thanks to everyone who came. Sorry if we did not get as much "Meet-up" time as we all wanted/needed. I had a blast on stage, although there were a couple semi-awkward moments, I flew past it as best I could. After the formal portion we moved to the side to talk and get a group photo. Amazing to meet people who I have only known virtually. The rest of the weekend is a BLUR of fun with some running tossed in. Posts to come about the Train Like a Mother House Party, Onlineshoes.com/Brooks event, Slumber party at Chelsea's. 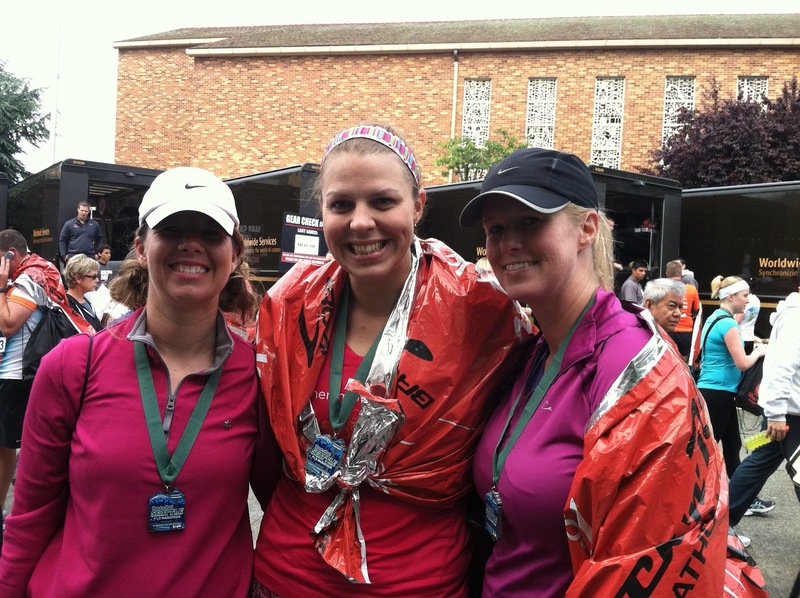 Oh and the Rock N Roll Seattle Half Marathon. Spoiler alert, I FINISHED! !